Speeding tickets can be costly and add points to your driver’s license that you can ill-afford. These, in turn, can cause your automobile insurance rates to skyrocket. If you’ve received a ticket for speeding, having a lawyer like Brian Westrom on your side means that you can keep your driving record clean, lower the cost of the ticket, and sometimes even have the ticket dismissed. It just makes sense to hire an experienced traffic attorney to assist you in handling tickets and moving violations such as reckless driving, speeding in a school zone, running a red light, driving without a license, driving without insurance and failure to stop. If you’ve been accused of driving while impaired or driving under the influence (DWI, DUI), a felony or a misdemeanor, you most assuredly need an excellent criminal attorney defending you in court. Brian Westrom will examine your case and discuss all the risks and options you may have in your specific case. Choosing the right lawyer with enough experience to handle the charges brought against you could mean the difference between a positive outcome for you, and a future of regrets. We want you to know and understand the facts, and can answer any questions you may have at no cost to you. To arrange an appointment to speak to us, please call the office at 919-942-2202. We will assess your situation and there is no further obligation if you choose not to hire us. When you find yourself charged with a misdemeanor, low-level felony or petty offense, you may not know where to turn. You may have been unjustly accused. Exorbitant fines, jail time, or parole are just some of the possible outcomes you could be facing. Since 1997, Brian D. Westrom has been working hard to protect the interests of his clients throughout the Triangle. He can handle every aspect of your speeding ticket or moving violation. In some cases, he may even be able to get the case thrown out. 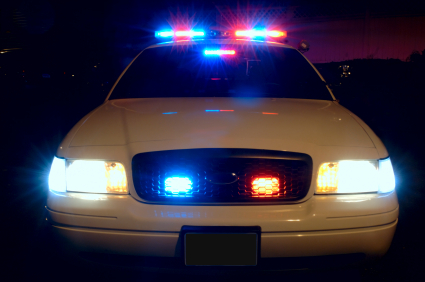 Call us today and let us begin to help you resolve your traffic ticket or moving violation. These materials are for informational purposes only and not as legal advice. This web site and Brian Westrom's provision of the information on it is not intended to create, and your use of this web site and receipt of information from it does not create, an attorney-client relationship. You should not act on the information on this site without seeking the advice of an attorney. The information contained in this web site may not reflect the most current legal developments. This website is not intended to be advertising and Brian Westrom does not by this web site seek to represent anyone who desires representation based upon viewing this web site. Brian D. Westrom, Personal Injury Attorney, Accident Attorney, Criminal Attorney, Traffic Attorney, Wrongful Death Attorney, Workers' Compensation, and Medical Malpractice. ©Copyright 2011-2018. All rights reserved.